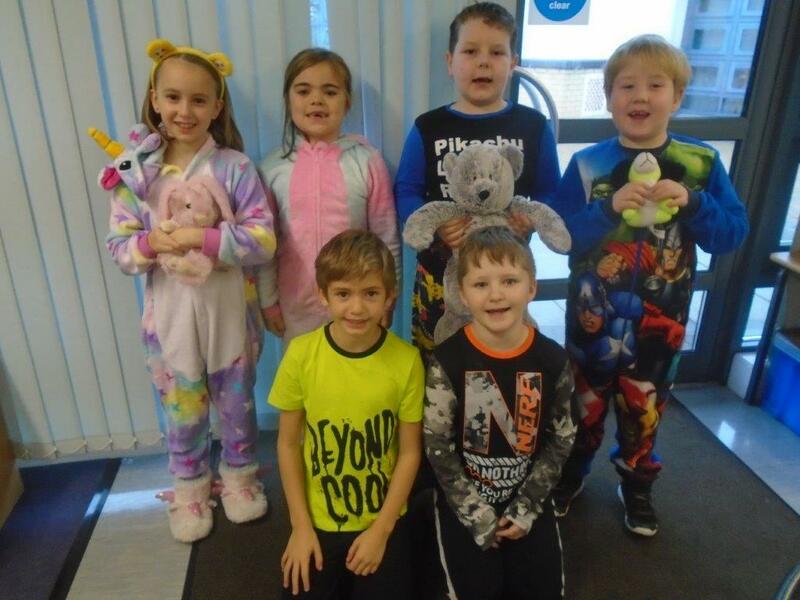 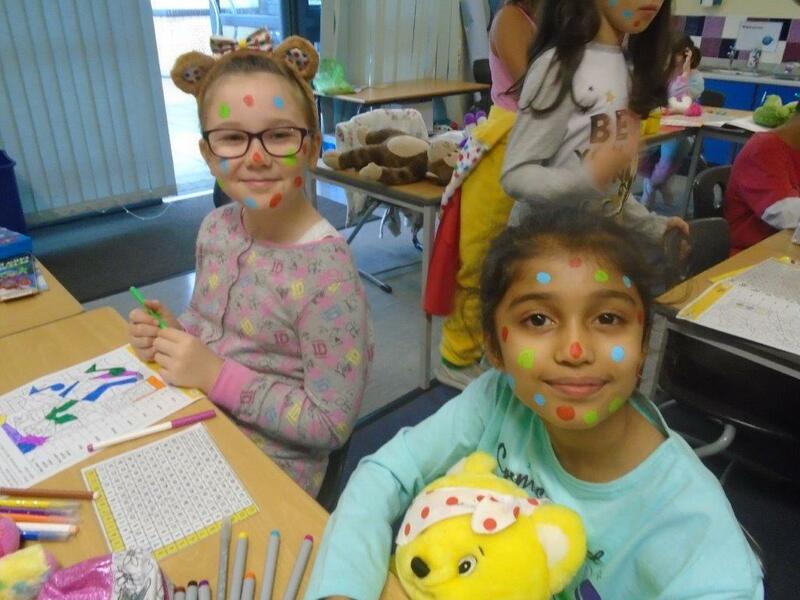 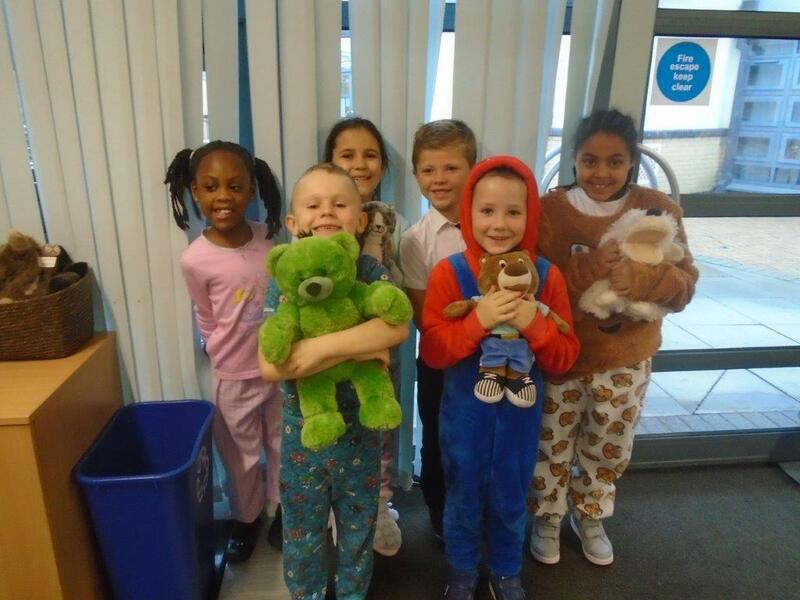 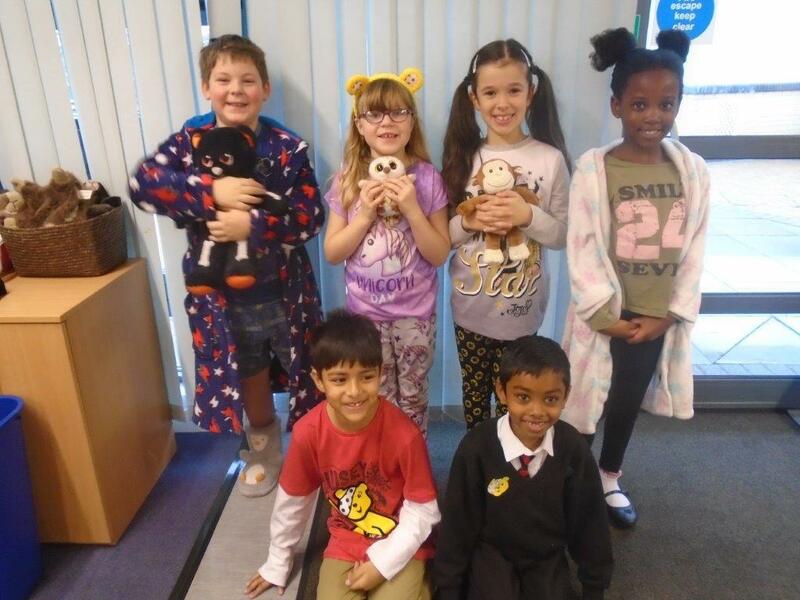 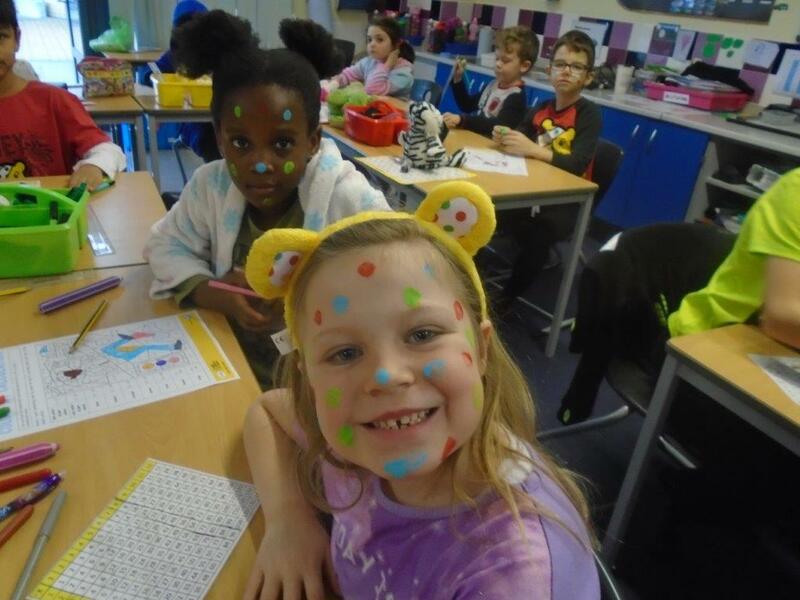 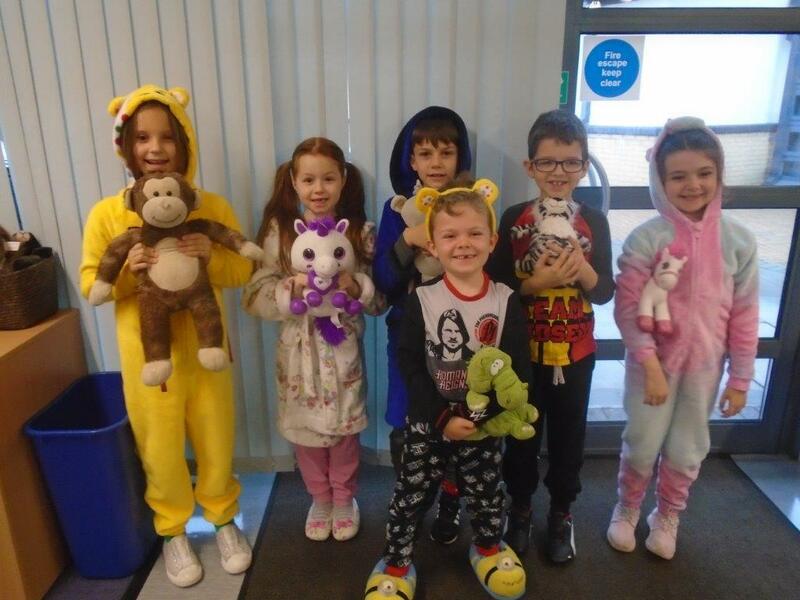 Today we celebrated Children in Need by coming to school in our pyjamas and bringing our teddies. 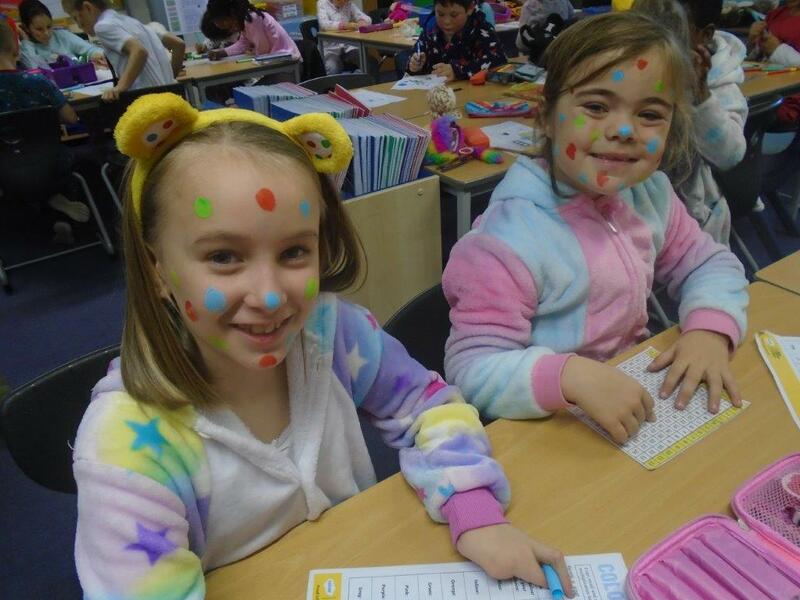 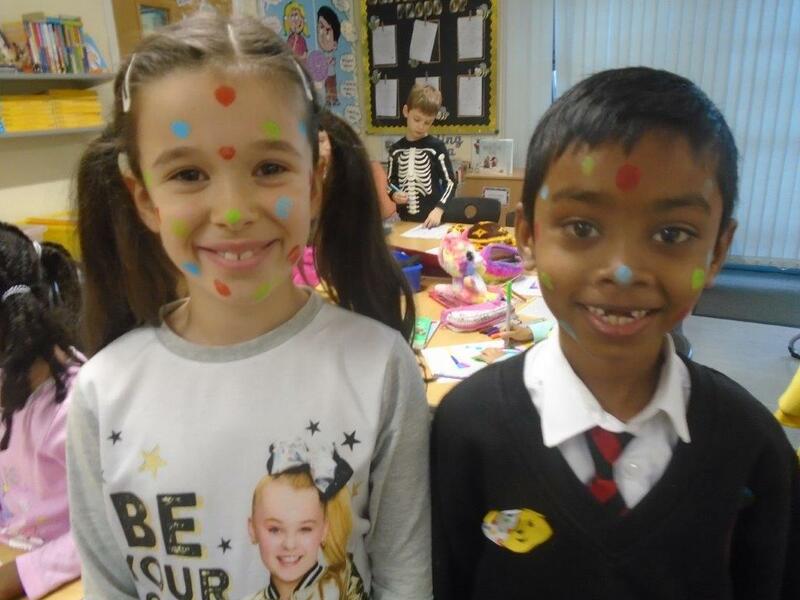 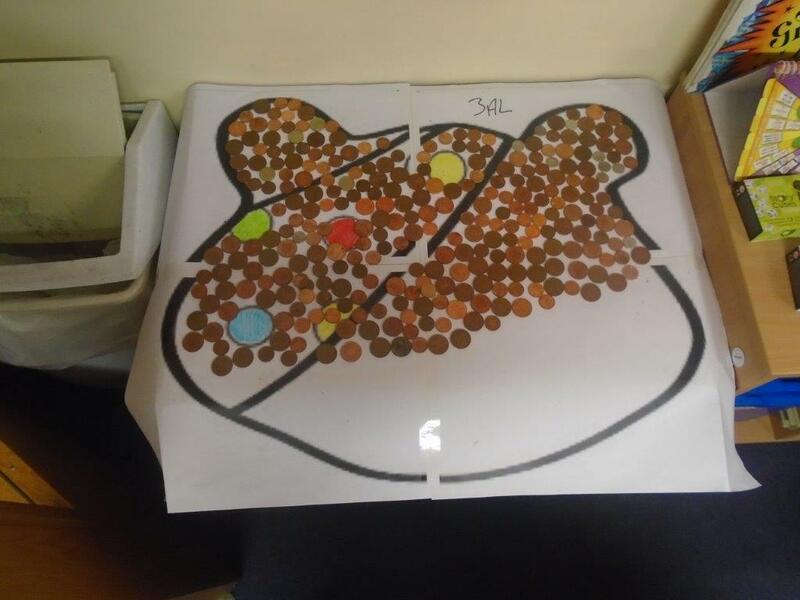 We donated £1 each and paid for cakes and face painting to add more to total. 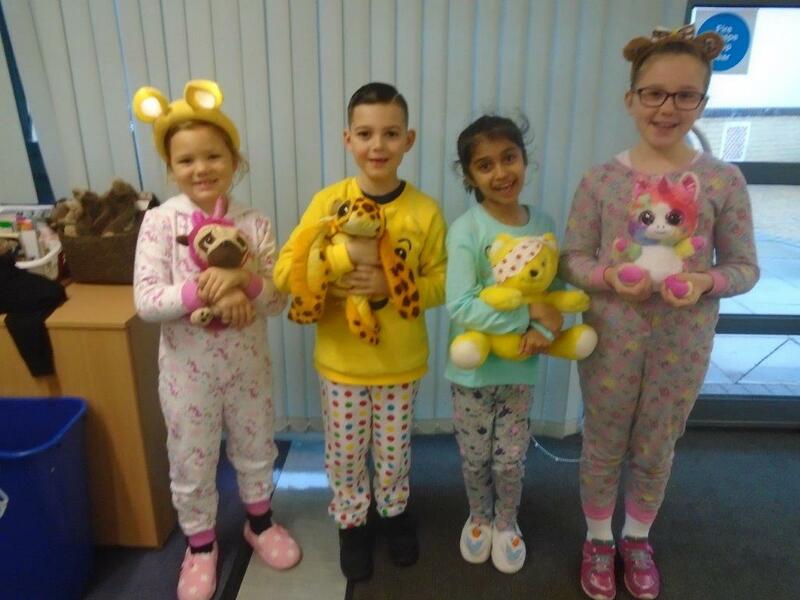 We’ve had a lovely day being all relaxed in out pjs with spotty faces. 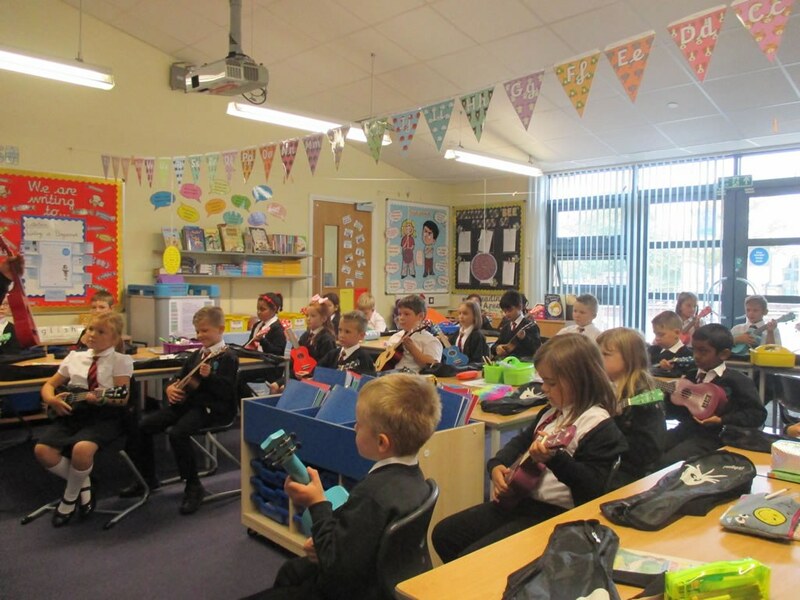 This week we continued with our Ukulele lessons. 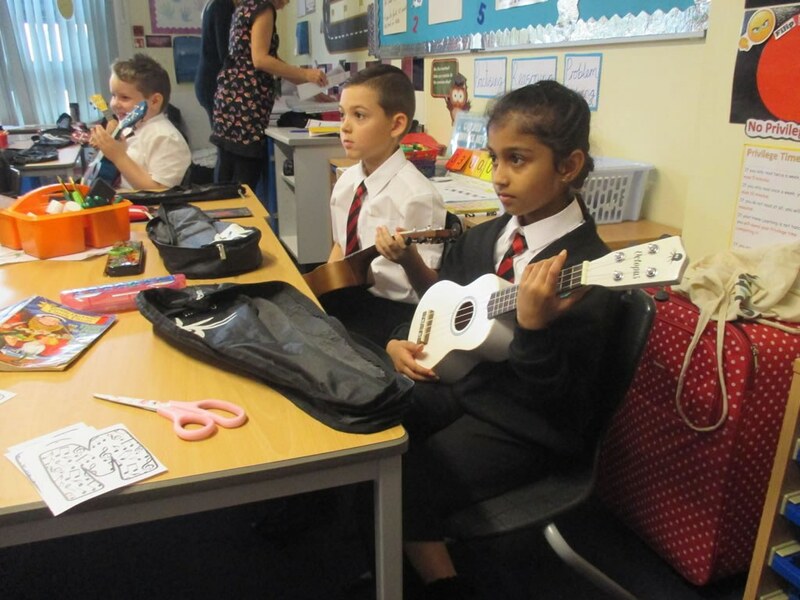 We have been learning lots of different chords and are getting much more confident at finding the correct positions on the Ukulele.